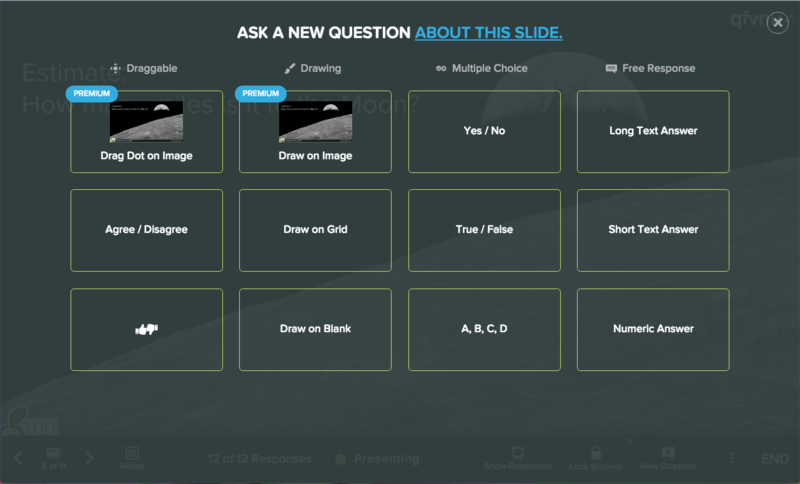 Add new questions to your presentation on the fly! This helps you extend the discussion when a great question comes up, check in with students, or ask the same question again to collect new responses. You can also use this button when you present a PDF or Google Slides file that has never even been opened with Pear Deck. Learn more here. Invite your audience to join with the Join Code from your Projector View. When you feel like adding a new question, click the New Question button. You will have 3 main options to insert a new question. 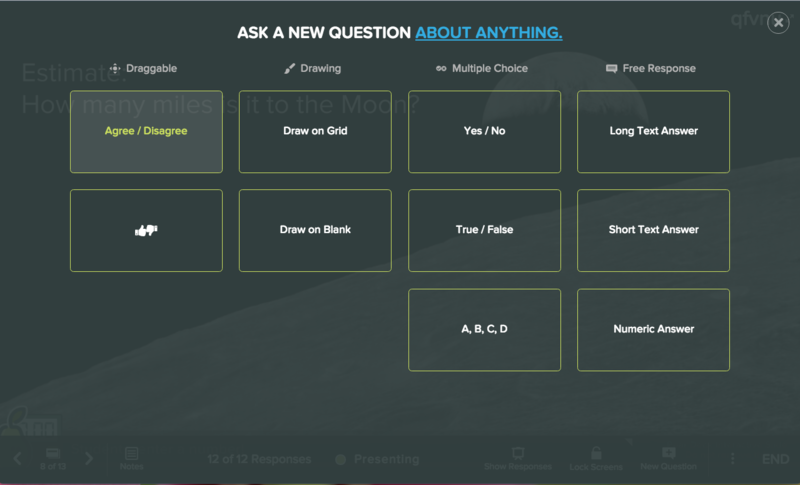 Whichever option you choose, your audience will get to answer your new question on their screens. 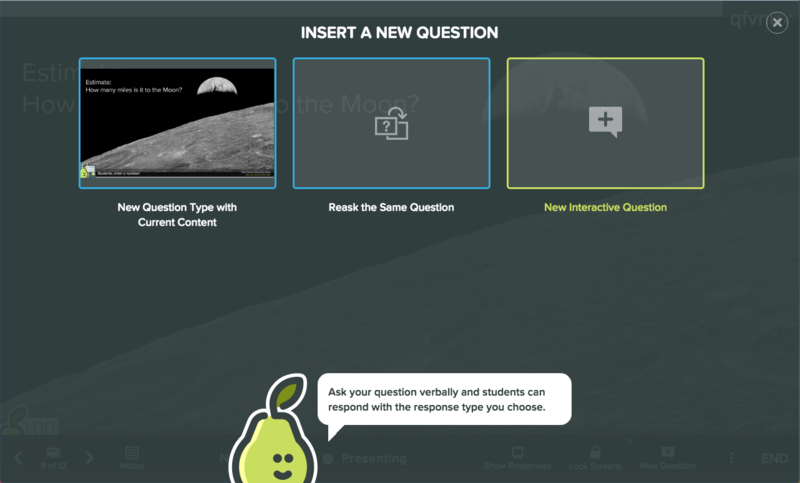 All of the responses will be automatically saved in the Session, just like they are on other Pear Deck slides. If you choose a drawing template, students will be able to draw. If you chose a multiple choice template, they will be presented with options A, B, C, D, etc. You may then give them a verbal prompt. 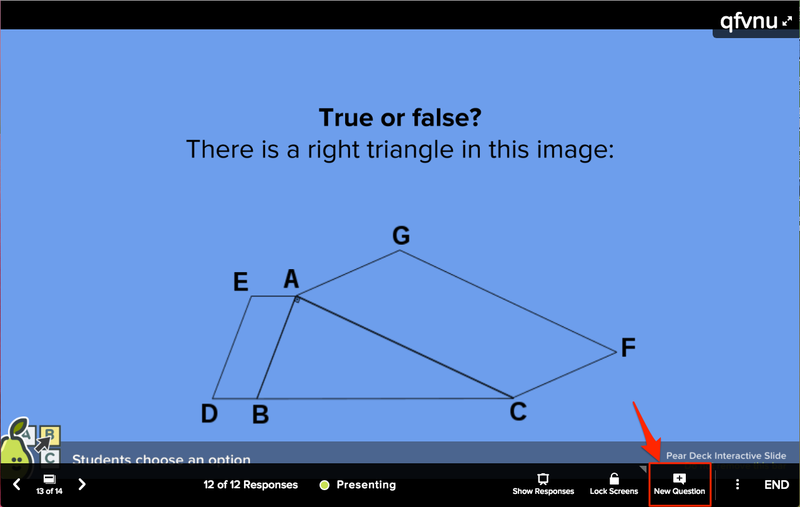 Please note that it is not possible to change the prompts on any of the New Question slides. 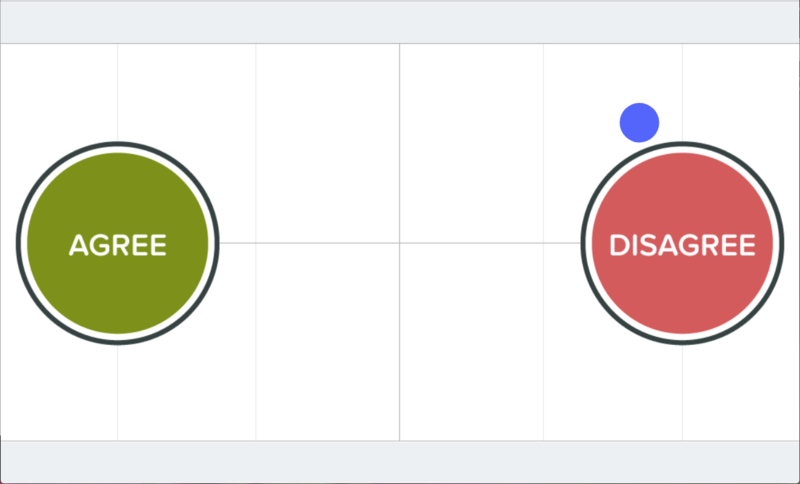 This helps when you want to ask about the same slide content, but with a different interactive question type. 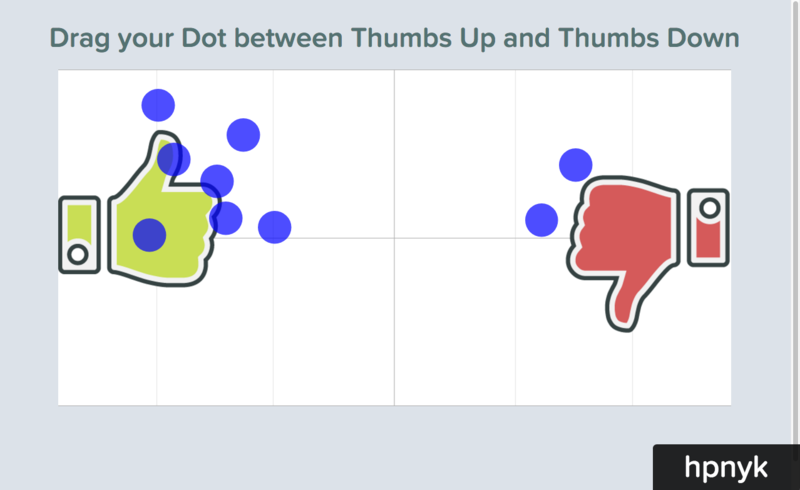 This helps when you want to ask the same exact question on a separate slide so you can gather totally new responses. Use this option to do a quick temperature check or ask about something that came up in conversation. 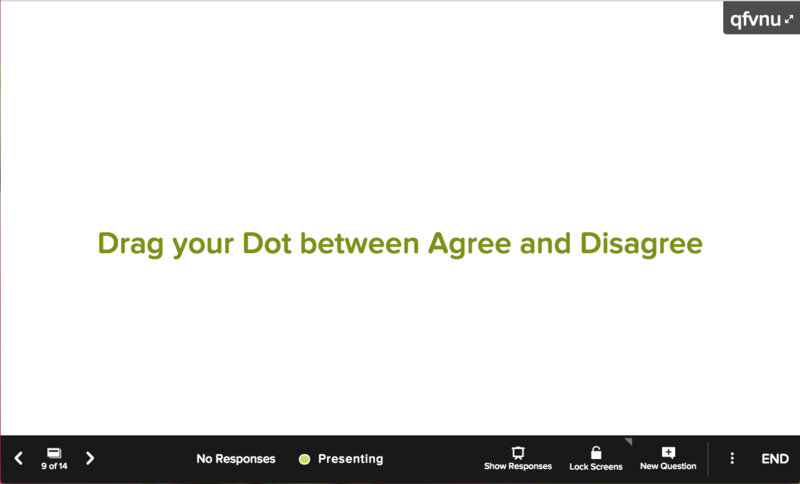 For example, let's take a look at the two Draggable slides from the New Interactive Question option. Can I Present Another Type of File?